Description A stunning view of a second large Noctiluca bloom captures the attention of many living near Puget Sound. 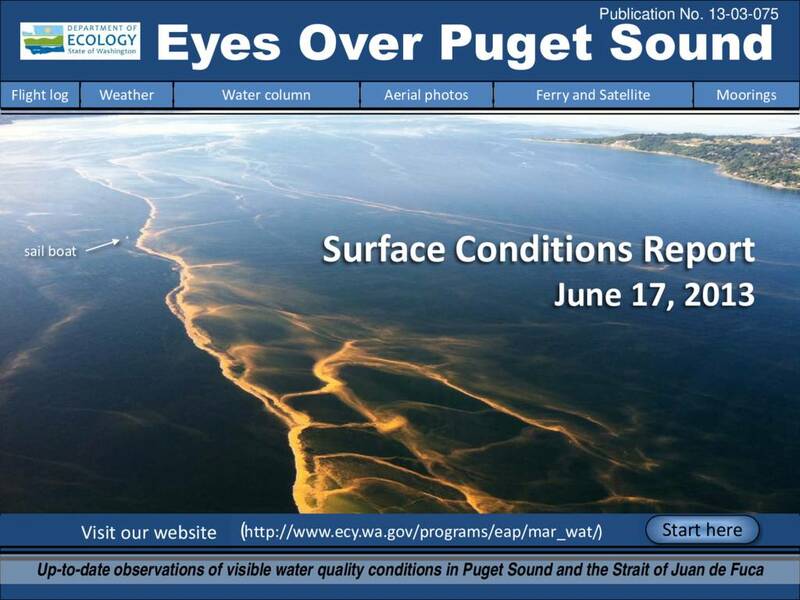 Favorable conditions support several regional phytoplankton blooms. Red-brown blooms in Port Townsend, Discovery Bay and Bellingham Bay. Large algal mats or organic material particularly in Samish Bay. Jellyfish patches increasing in Budd, Totten and Eld Inlets.